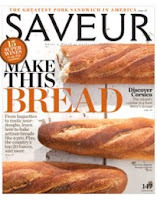 See my cover story of the American artisan bread movement, and how I translated it to my kitchen, in the May issue of Saveur magazine. 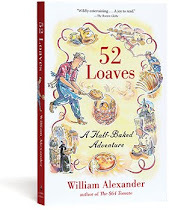 Also, some great recipes by Dan Leader (Bread Alone). I was at a French conversation class in New Jersey recently, and a poor soul who didn’t speak French, having been dragged there by his wife, had taken refuge in the back row. The teacher asked each of us introduce ourselves, and when my turn came I said, in my fractured French, that I enjoyed baking bread. “Pain au levain?” came a voice from the back of the class. “I thought you didn’t speak French,” another student said in disbelief. That’s when I knew the artisan bread movement had arrived. 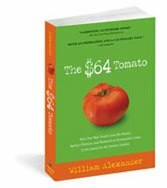 I saw this article and it motivated me to look your book up on my Kindle. I just finished it and enjoyed every page. 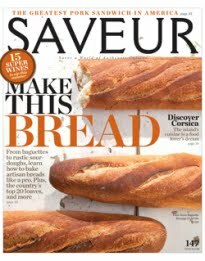 I made it a goal about two years ago to start making bread with the intent of a beautiful loaf such as you have achieved, as I remember from visiting France at age 17. I've even gone so far as to order on line from Poilane. Unfortunately, I can't find the drive or focus to pursue all you did. I was excited though to realize my journey brought me the familiar language of bread. I didn't have to open the dictionary once! My offerings are meager and I keep adjusting my technique and adding to my baking paraphernalia, but my family are happy to share in the experiment. Thanks for the in depth history. You have inspired me to keep baking, and to continue in search of the perfect loaf! Thanks for your kind words. So did the Poilane bread meet your expectations? Yes! We kept it in the freezer and enjoyed it over a week or so...I particularly enjoyed the currant bread. Friends found it amusing I would pay for shipping from France but it was worth every penny.